The S 1200 is a modern desk, that is compact in size making it ideal for even the smallest of spaces. 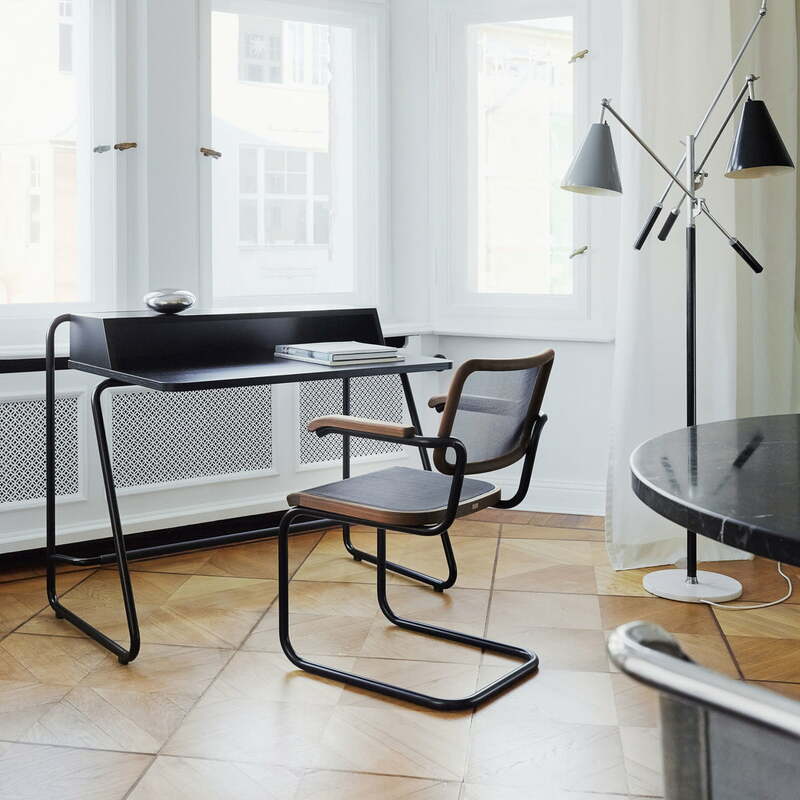 The Secretary Randolf Schott for Thonet has been especially developped for use at home. 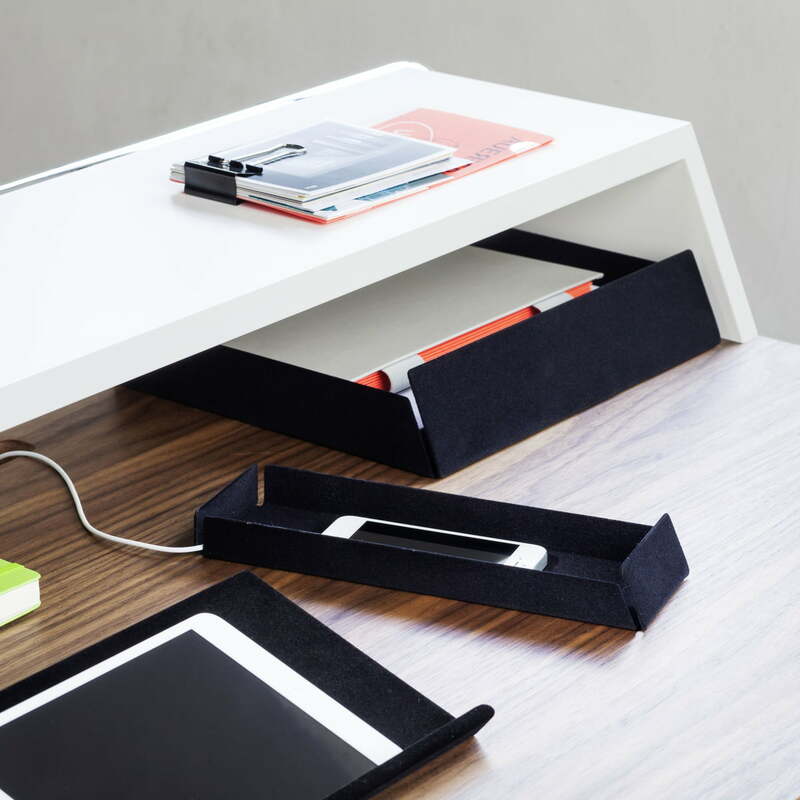 Thanks to its minimalistic design, the desk becomes a versatile piece of furniture. The secretary desk consists of a tubular steel frame, chrome-plated or laquered in sober colours. The integrated footrest provides comfort even during prolonged sitting. The tabletop is available made of different types of wood. Cables are discreetly led away from the table to the socket thanks to a net fixed underneath the tabletop and the magnetic clips on the back of the tubular steel frame. A number of optional accessories are available from the S 1200 series, including a pencil box, a filing box or a bookrest that complement the desk and make it perfect to study, work, read, or write. Other versions of the Thonet secretary desk, as well as matching accessories are available on demand. 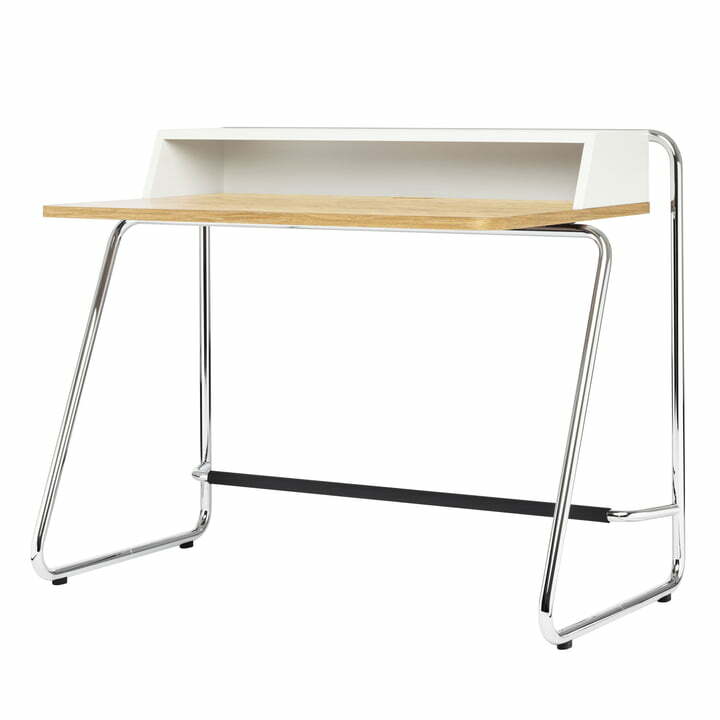 The S 1200 secretary desk by Thonet consists of a chrome-plated steel frame, a body with a pure white (RAL 9010) top coating and a oiled oak tabletop. 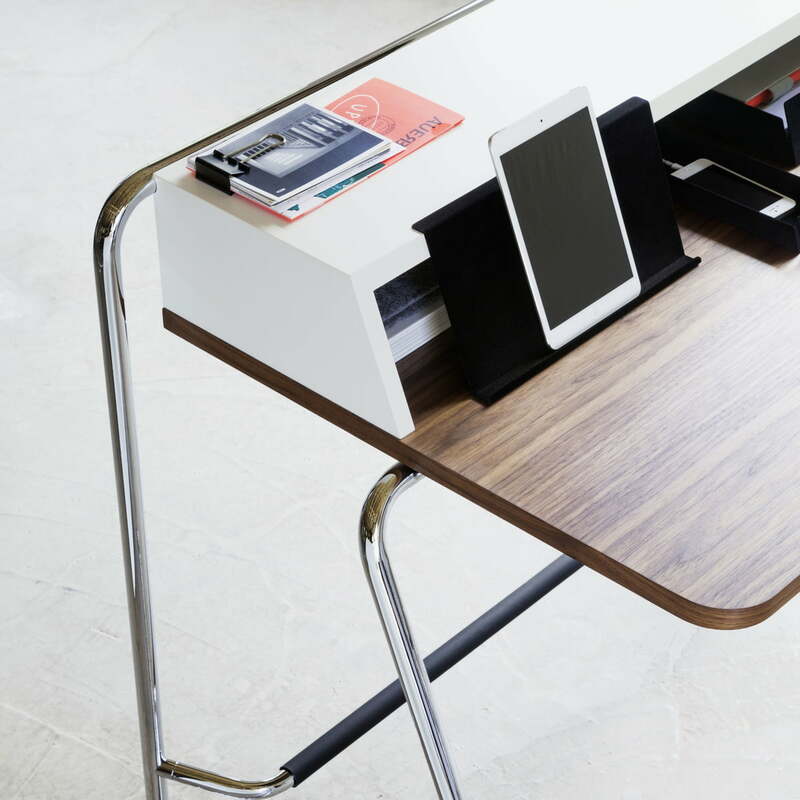 Detail product image of the S 1200 desk by Randolf Schott for Thonet. The versatile desk consists of a tabletop available out of different types of woods. Detail product image of the S 1200 secretary desk by Randolf Schott for Thonet. The integrated footrest provides comfort even during prolonged sitting. Detail product image of the S 1200 secretary desk by Randolf Schott for Thonet. The secretary desk consists of a tubular steel frame, chrome-plated or laquered in sober colours. Detail product image of the S 1200 secretary desk by Randolf Schott for Thonet. The secretary desk is also available with a powder-coated frame in a subtle yellow. Detail product image of the S 1200 secretary desk by Randolf Schott for Thonet. The Secretary desk also exists in a version with a chrome-plated frame and white top. Detail product image of the S 1200 secretary desk by Randolf Schott for Thonet. The table top is made of wood and chrome-plated steel, creating an exciting combination. Detail product image of the S 1200 secretary desk by Randolf Schott for Thonet. Cables are discreetly led away from the table to the socket thanks to a net fixed underneath the tabletop and the magnetic clips on the back of the tubular steel frame. 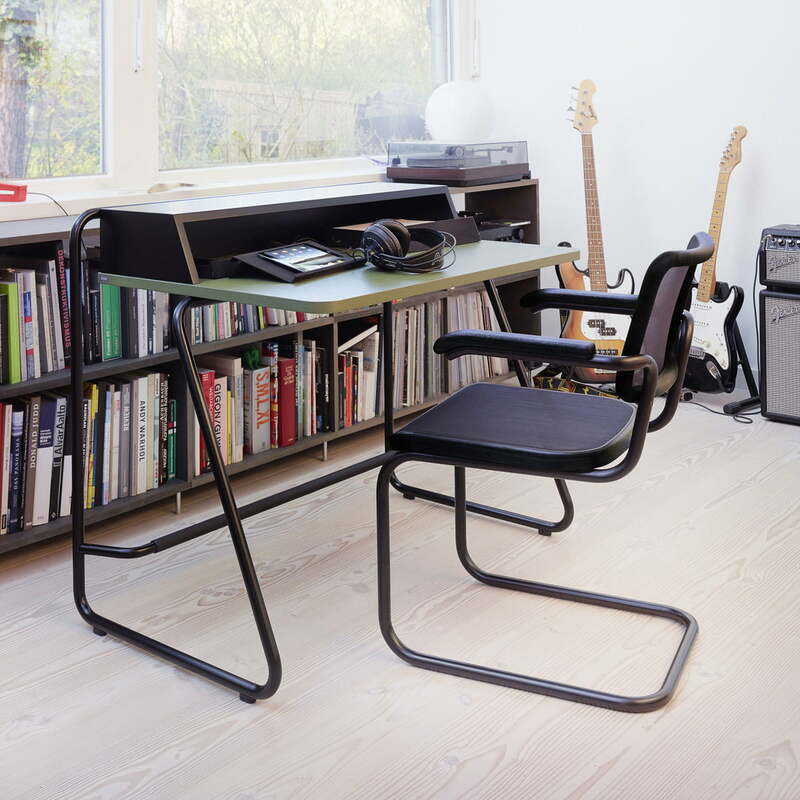 Lifestyle product image: The S 1200 secretary desk by Randolf Schott and the S 43 chair by Mart Stam Thonet create a harmonious ensemble to work or read in the study. 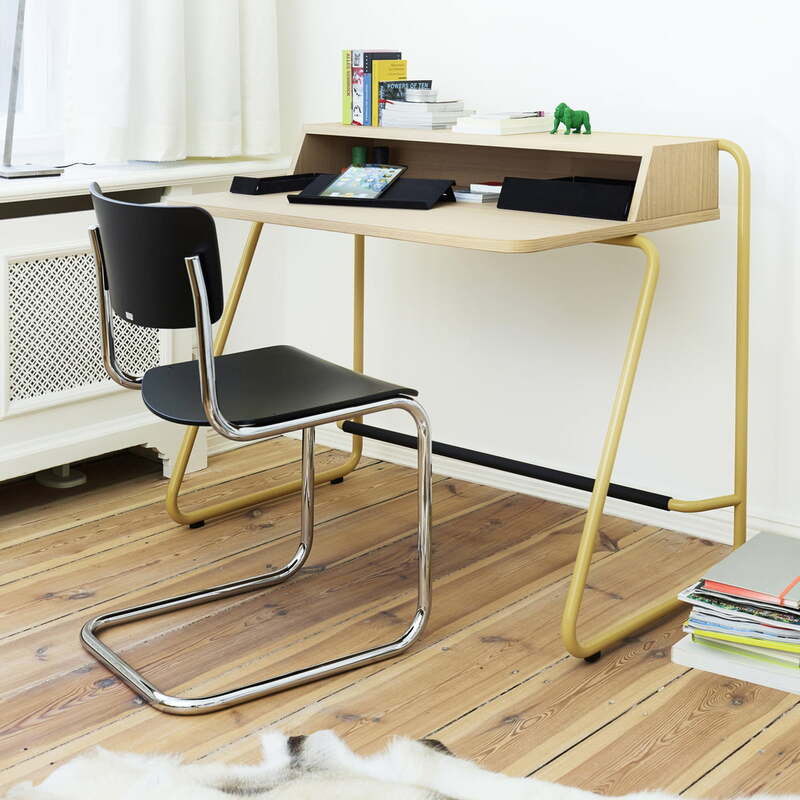 Lifestyle product image of the S 1200 secretary desk by Thonet. It looks great in the study as well as the children’s bedroom, but also acts as a real eye-catcher in the hallway to use as a shelf for keys, reading glasses and shopping lists. Lifestyle product image of the S 1200 secretary desk by Thonet. A number of optional accessories are available from the S 1200 series, including a pencil box, a filing box or a bookrest that complement the desk and make it perfect to study, work, read, or write.